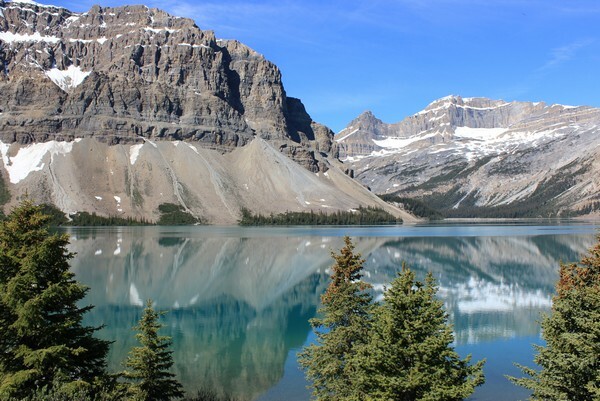 If you’ve visited the Canadian Rockies there’s a pretty good chance you’ve heard of Lake Louise, Moraine Lake and/or Maligne Lake. 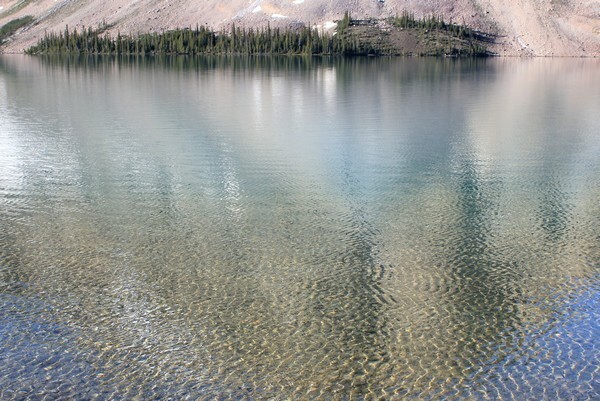 These famous glacial fed lakes seem to draw most of the attention, and for good reason, but there’s another beautiful Rocky Mountain lake that caught our attention – Bow Lake. 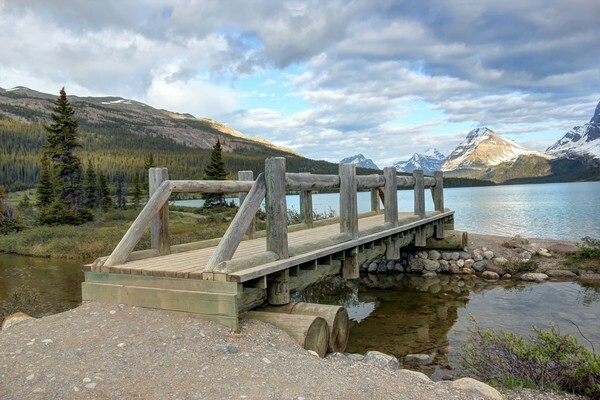 Bow Lake is a small lake in western Alberta, located on the Bow River, and is one of the lakes on the Icefields Parkway that connects Banff National Park with Jasper National Park. 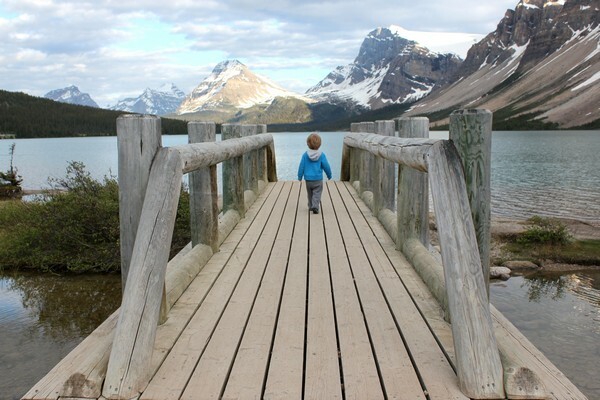 Before we tell you about our memorable experience at Bow Lake, we’d like to first share some of our favourite photos. I wonder what will happen if I throw a rock? 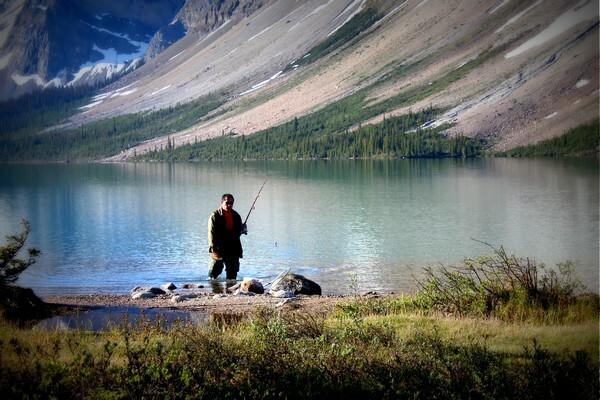 Man and his fishing pole. 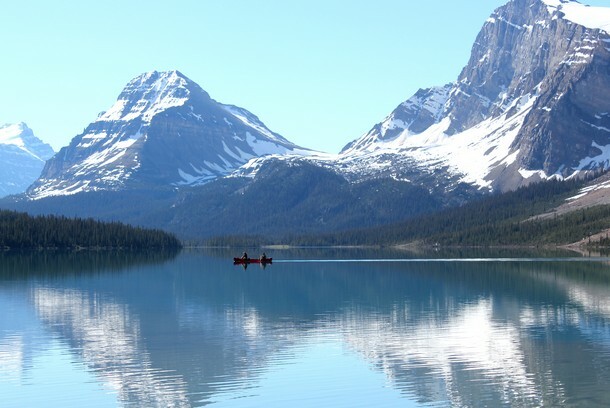 Travel Alberta’s marketing slogan is “Remember to Breathe“. We now understand why. Paddling on a sheet of glass. 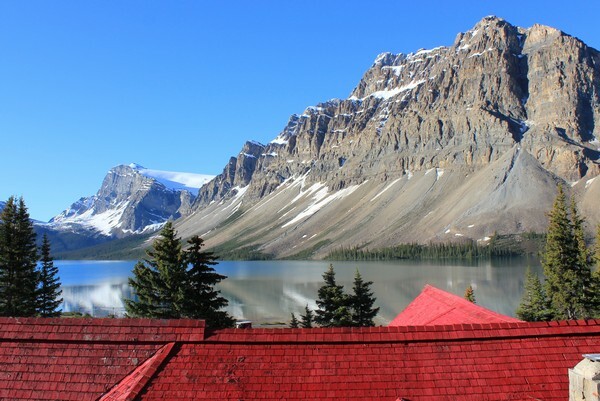 What makes Bow Lake special, aside from its obvious natural beauty, is the red-roofed mountain lodge that sits on its shores. 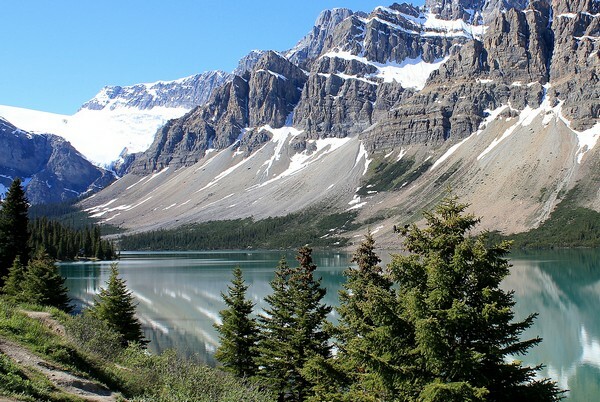 The Icefields Parkway, often labelled as the world’s most beautiful drive, passes directly beside Bow Lake as it connects the alpine towns of Banff and Jasper. 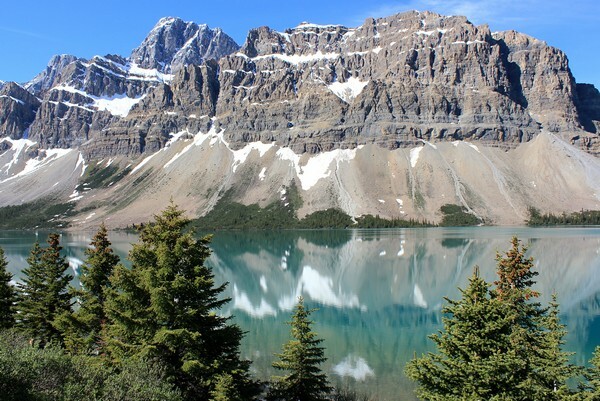 Because of this, an endless flow of tourism traffic stops at Bow Lake to take photos and admire it’s breathtaking rocky mountain scenery. 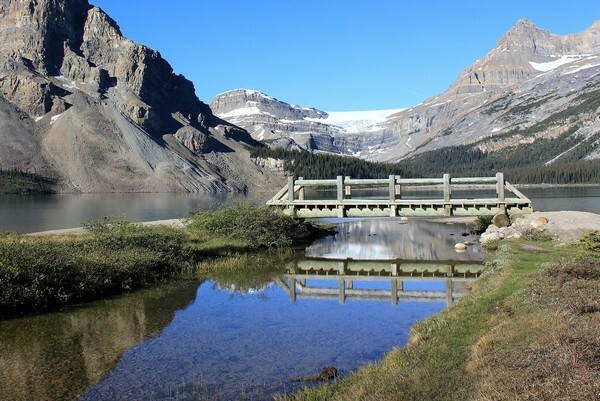 Most tourists visit the lake between late morning and early afternoon, while en-route to either the Athabasca Glacier or Lake Louise, depending on their point of departure. 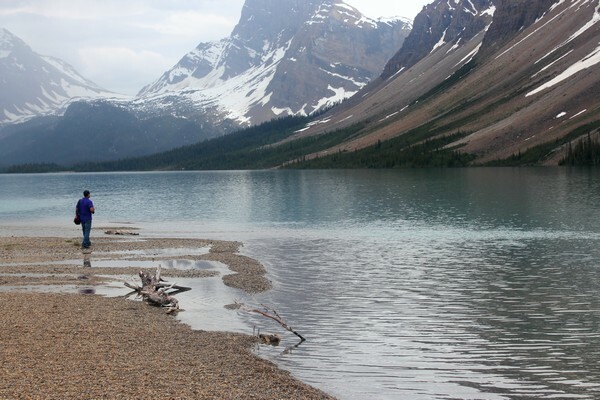 Rarely do people make Bow Lake the final destination for the day, instead opting for Banff, Lake Louise or Jasper. 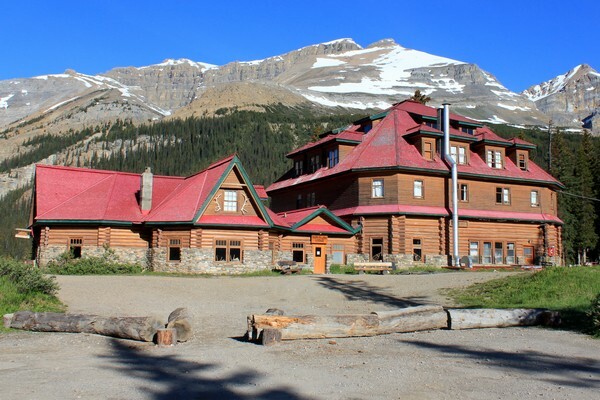 We arrived at Simpson’s Num-Ti-Jah Lodge around 5:00 PM, after a full day of glacier exploring, sightseeing and driving. After checking in at the lodge, we went for a walk around the lake and nearby trails. 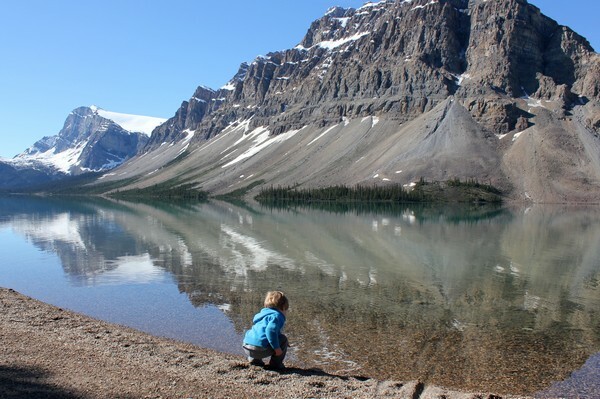 There is a longer hike that leads to Bow Glacier falls, the birthplace of the Bow River, but we were advised that some of the trail was washed out and it was probably too strenuous for our toddler. It was a gloomy overcast day with periodic showers, so we didn’t fully appreciate our surroundings until later that evening, when the clouds finally disappeared. What a sight! 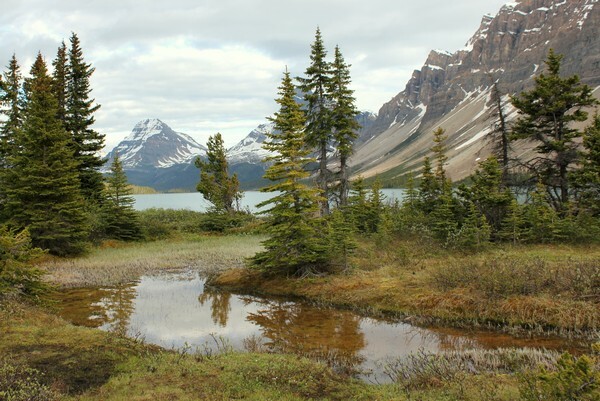 The magic of Bow Lake happens in the evening and early morning, when the highway traffic disappears and you’re surrounded by jagged mountain peaks and the quiet of nature. We felt like we had the entire lake to ourselves. 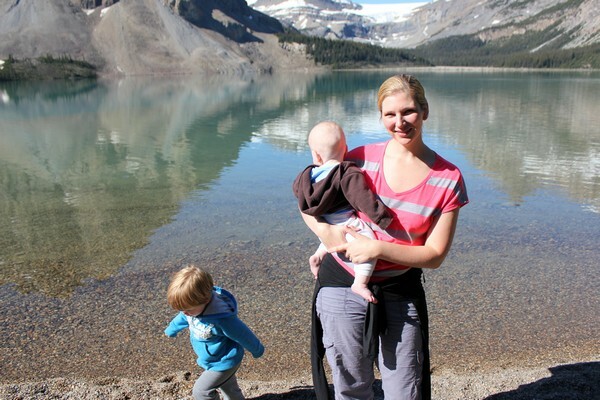 We love camping and being outdoors at night but it’s just not feasibly at this point in our lives (sharing a tent with an infant and toddler sounds like a terrible idea). Staying overnight at this elegant wooden lodge gave us the best of both worlds. 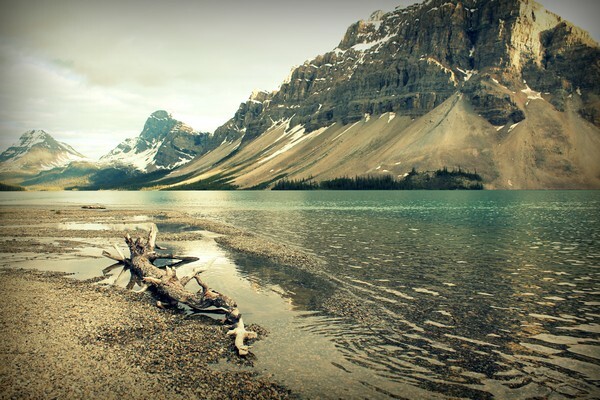 I wish there was a way to bottle that crisp mountain air and bring it home with me. 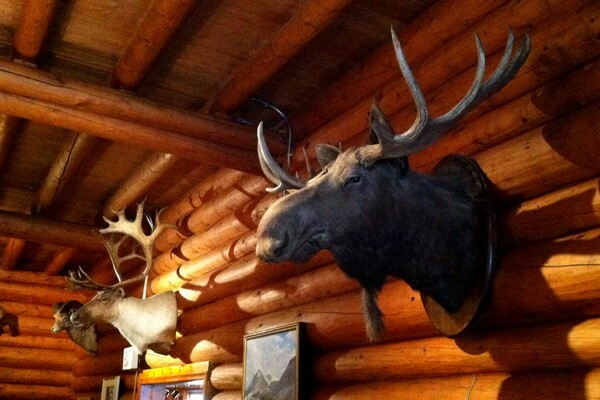 Of course, it’s only a true mountain lodge if there’s a moose head in the lobby. 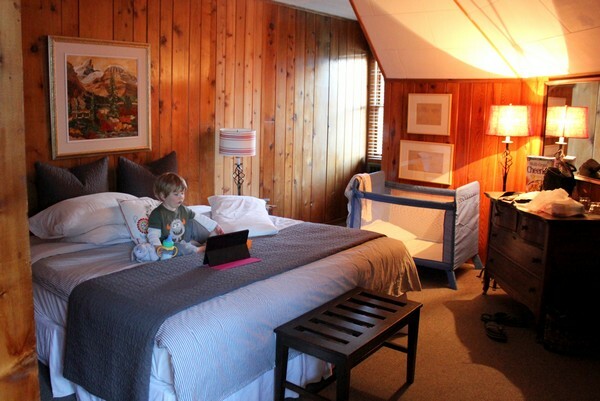 Braydon enjoyed our rustic lake view room. The rooms are all original and loaded with character. …and this was the view facing the other way. 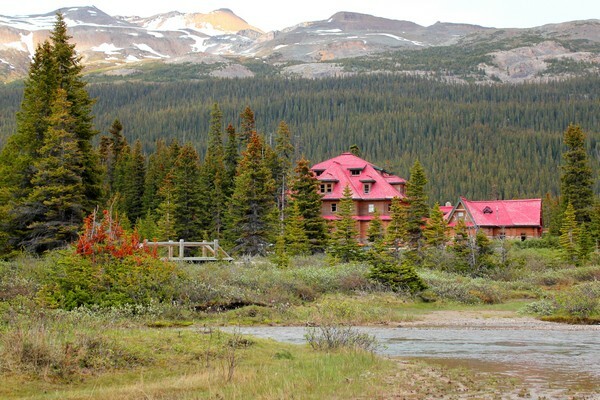 Here is the view of the lodge from a lookout point just off the Icefields Parkway. 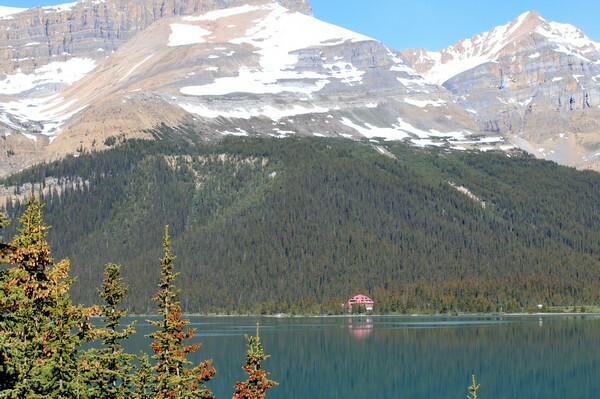 Below is a virtual tour of Bow Lake and Simpson’s Num-Ti-Jah Lodge. 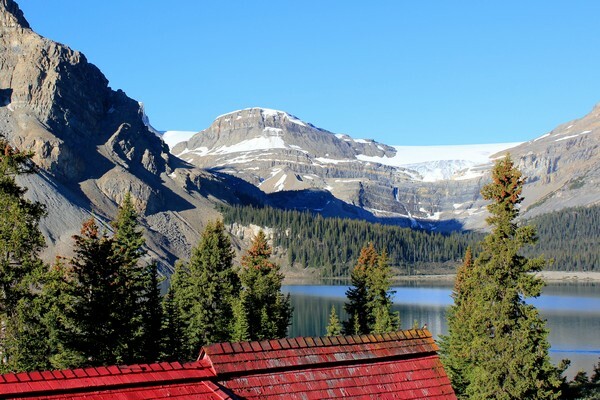 Many thanks to the good people at Travel Alberta and Simpson’s Num-Ti-Jah Lodge for providing us complimentary accommodations during our stay at Bow Lake. As always, expressed opinions are entirely our own. 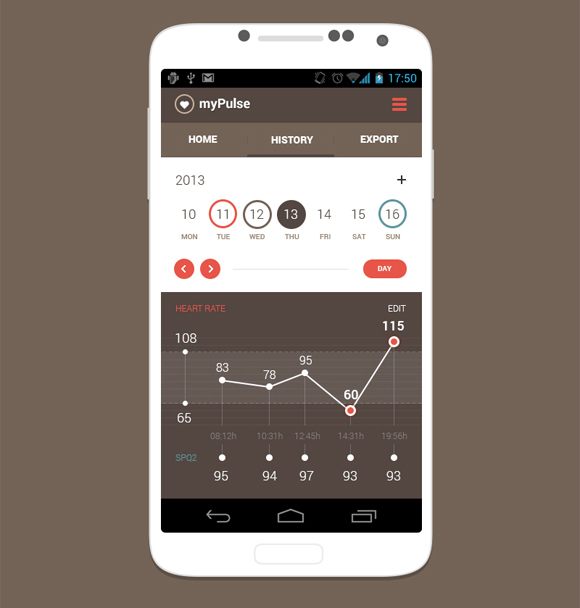 Next articleWhat do you do when your design pattern breaks down?